Businesses have been turning to social media to connect with their consumers in a new and exciting way. More than ever before, companies can interact with their loyal followers and attract new ones by striking up conversations, tapping into their wants and needs, and portraying their products and services through social channels that can reach millions. While the Hispanic community has been included in those marketing campaigns, few have been directed right at them. However, businesses are starting to take notice that Latinos are no longer a minority consumer group. Their $1.2 trillion market is nothing to be sneezed at. In fact, it should be catered to. Furthermore, Latinos are taking over social media in a big way. They predominantly use platforms like Facebook and Twitter, and they often do so from their smartphones. The Hispanic community is already a marketing force to be dealt with. But many businesses are unsure of how. But the question shouldn’t be, “What can we give the Hispanic community that they don’t already have?” Businesses and marketers should be asking, “What does the Hispanic community already have that we can build on?” And the answer is in the question: community. The Hispanic heritage has been largely centered on family gatherings, close family ties, and making decisions for the good of their communities. As consumers, Hispanics stay true to their roots by seeking out brands that invest in their communities and offer products and services that are based on the interests of their people. When you break it all down, Latinos are looking for brands that interact with them, as opposed to selling to them. Perhaps this is why social media has had such a wide acceptance within the Hispanic community because it fosters constant communication, and not just between individuals, but also between groups of people that like similar things, share similar stories, and post similar statuses. For businesses, embracing the importance of community amongst Latinos and incorporating it into their marketing strategies, which already undoubtedly include social media, would be a Latino consumer goldmine. Their demographics are already there, talking, sharing, and interacting. It’s now just a matter of tapping into it. Internet-ready mobile phones have become wildly popular among a wide range of people from different age groups, genders, and ethnic backgrounds. Furthermore, studies have shown that Latinos are more like to turn to their smartphone for most if not all of their online shopping needs because statistically speaking, they are less likely to have a PC at home. This means that, for the most part, Latinos are reaching into their pockets when they want to check-in, like, tweet, or post a picture. And apps like Facebook and Foursquare and helping them do just that. Companies that are already including geographical information on their Facebook business pages, Google+ local pages, and other local search platforms, are seeing more and more Latinos becoming loyal patrons. Again, the sense of community that Latinos cherish so deeply makes sharing restaurants and retailers a no-brainer. A coffee shop, for instance, can use Foursquare to promote a free shot of espresso with every large coffee drink. After just a few check-ins, they can really make their rounds through the social-media-loving Hispanic community. Another thing for businesses to consider is that since Latinos are primarily using their smartphones to surf the Internet, incorporating mobile-friendly elements onto your website would be advantageous to this burgeoning market. Whether you reduce the amount of content or completely redo your website to have a mobile version, your business will have a better chance of engaging the Hispanic community through your website and giving them the opportunity to hear your call to action. This Hispanic community has managed to forge its way into the American culture without losing its sense of self or cultural relevance. This is also portrayed by the rise of bilingual blogs. In fact, Latinos have found a way to embrace their heritage and culture while incorporating it with new-age technologies like social media. And if social media wasn’t a convincing enough factor for many companies to step up their marketing game, the immense buying power of the Hispanic community that is already participating should be. 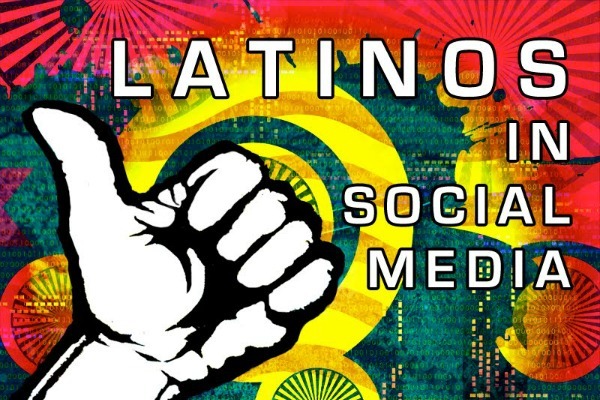 Latinos have been enjoying the fact that social media expands on their love of community. They can take the most basic and important part of their culture, socialization, to new heights with the benefits of social media platforms like Facebook and Twitter. And not only that, but they can now socialize directly with the brands they love and the brands that are catering directly to them. Suddenly, their $1.2 trillion market is bringing them the attention they’ve been waiting for from the brands that have been looking for them in return. A more personalized, Latino-centric user experience is on it’s way, and social media is the key to getting there. About the Author: Pete Wise is a Copywriter working for Luminar Insights is the premiere source of latino analytics and a reliable source of hispanic data to take your marketing campaign to the next level.